The vertical boat lift is currently the most efficient design for a cable-drawn lift. 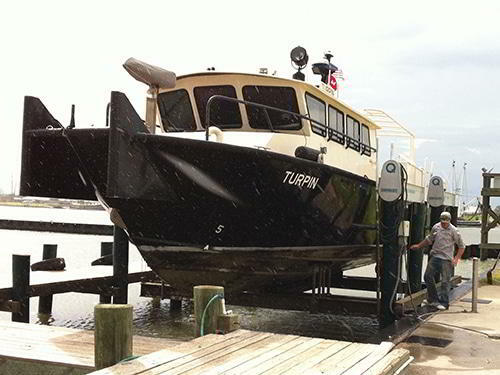 These vertical boat lifts were developed a couple of decades ago and have become the industry standard. It can be recognized by its parallel upper beams that each contain a motor driven shaft through their length on which four cables are wound. The cables are connected to the four corners of the boat cradle, which is raised or lowered by clockwise or counter-clockwise rotation of the shaft. 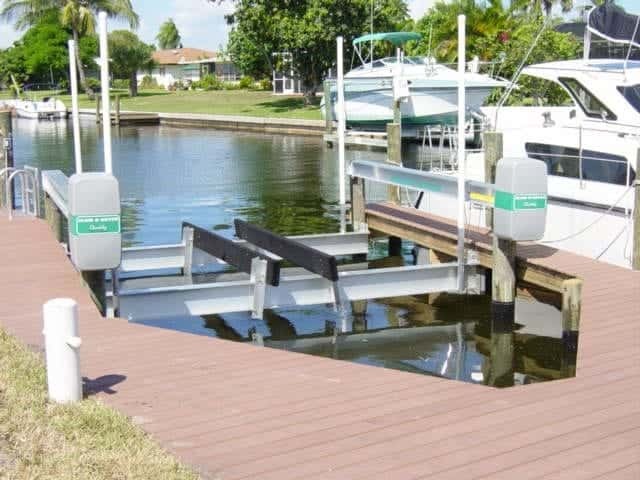 Our top beam vertical boat lifts can be set in a “low-profile” configuration, which allows you to use a covered top beam as a boarding platform for easy access to your boat. 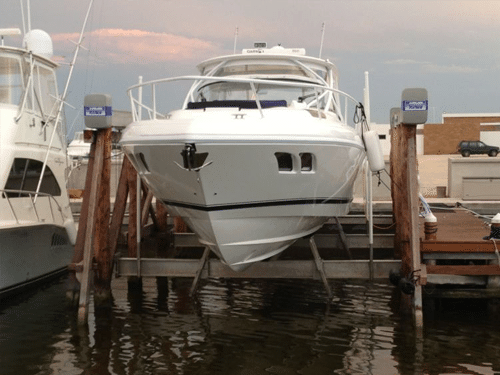 IMM Quality Boat Lifts currently offers three models of vertical boat lifts; the Alumavator, the Platinum and the Superlift. The Alumavator is our battle tested chain drive lift and is our most economical, though it comes with many features other companies consider optional upgrades. The Platinum is our maintenance free, direct drive boat lift with all the bells and whistles.